The Healing Arts project is a nationwide initiative to enhance the healing environment of hospitals with art. St Mary’s Hospital on the Isle of Wight has a vast collection of artwork dotted all over the site but until now there has been no online documentation of all of the pieces. 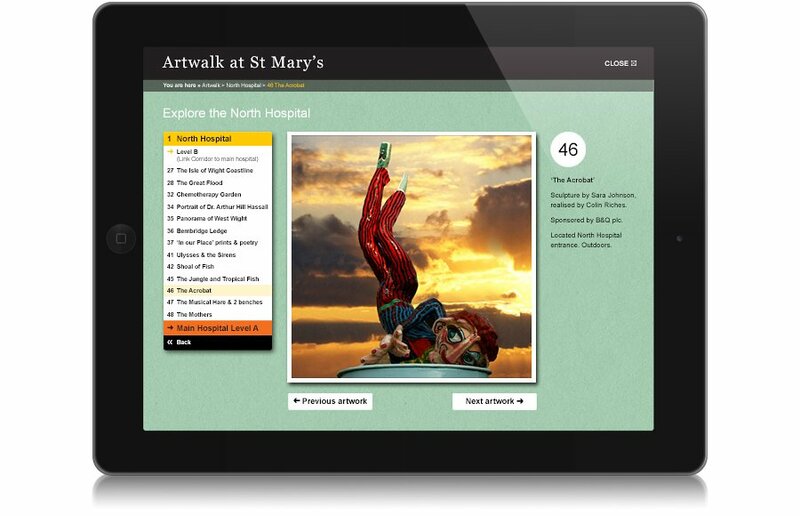 We designed this artwalk to allow the viewer to easily navigate their way around the hospital and view all of the key pieces, discovering some hidden gems along the way. The site contains up to 50 pieces in total. 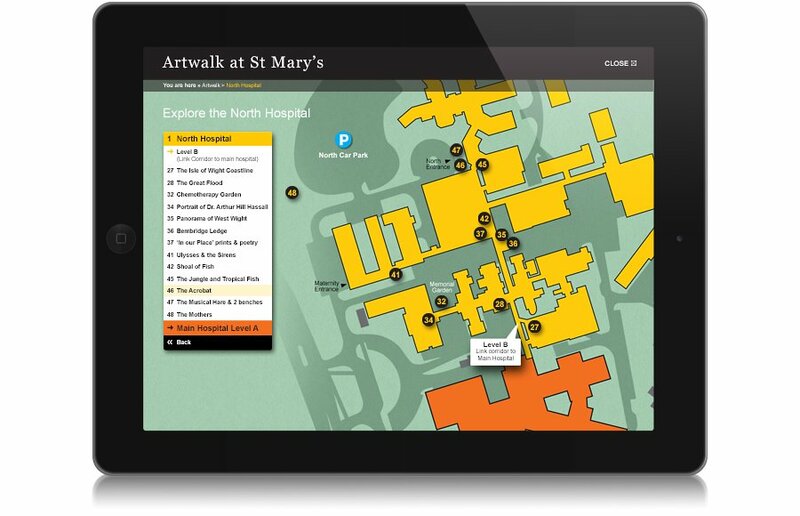 The opening screen gives you an overview map of St Mary’s Hospital, here you can navigate to the area you’d like to look at. 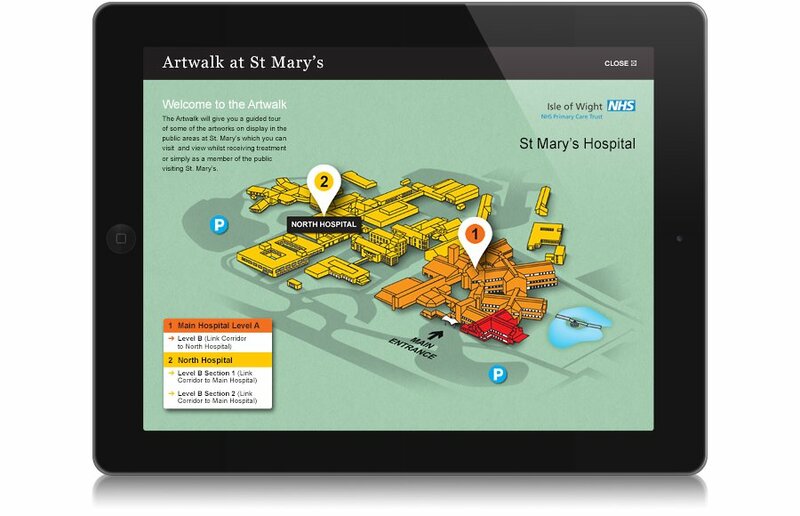 Within each section of the hospital there are several area maps showing where the art is placed. You can then browse through the artwork. The site contains a gallery area for each piece, highlighting any significant details about the artwork.